This is a Maine Examiner opinion piece and should not be confused with Maine Examiner news content. It’s time to fix America’s broken immigration system. Democrats in Congress are calling for passage of a clean DACA (Deferred Action for Childhood Arrivals) bill to allow amnesty for so-called “Dreamers” or immigrant children brought to America illegally, without waiting to include funding on a border wall and fixing American chain migration and diversity lottery immigration programs. We must protect America first. All Americans. That includes “Dreamers” along with the other 300+ million Americans who are left vulnerable with a wide open southern border. Some Democrats are even suggesting a federal government shutdown could occur if they don’t get a clean DACA bill. That is the most twisted, regressive thinking in the entire debate. Securing our southern border and fixing an immigration system that has been exploited by terrorists who wish to do us harm protects us all. When a smuggler brings narcotics or weapons across the southern border, those drug and weapons are not earmarked only for non-Dreamers. In some instances, those communities where large densities of “Dreamers” live are even more vulnerable to the scourge of those illicit drugs and weapons. Likewise, a terrorist intent on killing Americans is not going to check the DACA status of a crowd of people before running them down in the streets or detonating a bomb. “Dreamer” or not, we are all subject to the threat of a broken immigration system and porous border. The current situation offers the rarest of opportunities for Washington politicians – fix two major longstanding problems in one fell swoop. Democrats have been loathe to fix our immigration system or secure the border for decades. Republicans have been vehemently opposed to any form of immigration law that allows those who came here outside the proper channels to stay. Ironically, President Obama’s original DACA order, which even he admitted was done beyond his authority, gives us this opportunity. Lawmakers on both sides should lock themselves in a room until a deal is reached on a long-term fix to DACA, the border wall is funded, and America’s dysfunctional and broken immigration system is fixed to protect every human being in the United States of America. 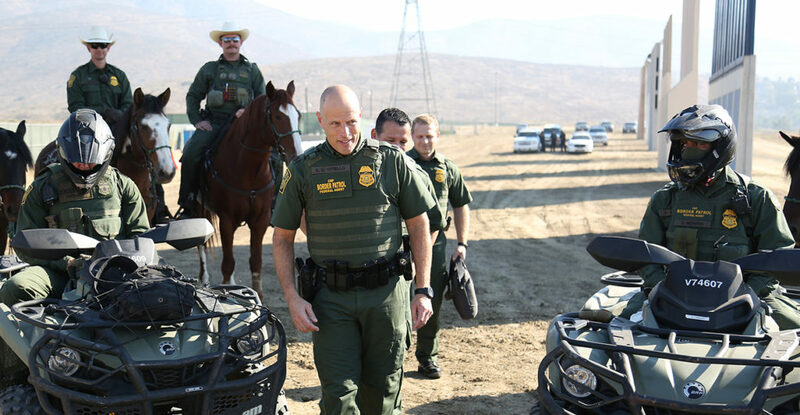 Shutting down the government, thus leaving our troops, our federal law enforcement and our border security officials unpaid to “protect” one small class of people when we can protect all Americans with a well-crafted reform of our entire immigration system is the type of foolishness only a bunch of Washington politicians could dream up. Stop the foolishness. Do the hard work.